Product information "Zipato - ZipaTile Z-Wave+Zigbee Gateway black"
The stylish box doesn"t just look good it is even incredibly versatile. Zipato filled in numerous sensors, a camera, microphone, speakers and some external connections in addition. 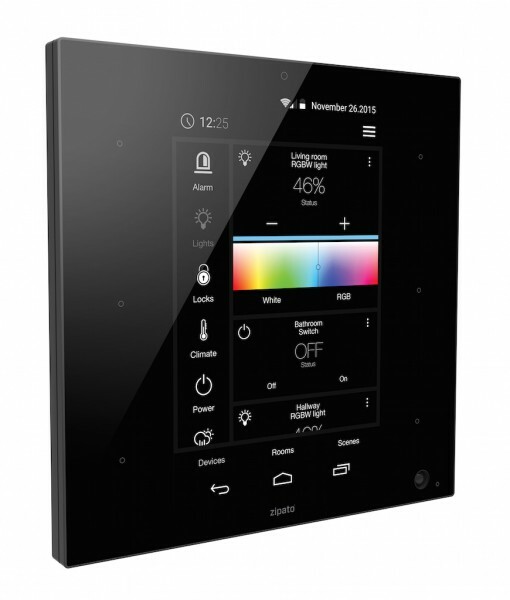 Therefore, the smart and very nice all-in-one-device is a complete home control system and able to replace or complement a lot of other home automation devices such as security system, wall thermostate, smart home controller and door intercom system. The ZipaTile with ZigBee owns in contrast to "Z-Wave only" version additional ZigBee wireless standard. Therewith it"s possible to control and integrate for example lighting systems such as Philips Hue or Osram Lightify to a Smart Home network. Related links to "Zipato - ZipaTile Z-Wave+Zigbee Gateway black"